In our All Jackpots online casino review we take a look at how the venue has managed to remain one of the highest ranking New Zealand casinos online. 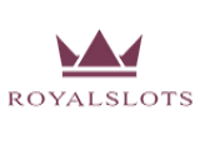 Since their launch in 2003, they have consistently supplied a top calibre gambling platform, providing a world-class gambling solution that keeps players from all over the globe in mind. As such they’ve become a number-one choice for those seeking a New Zealand online casino that comes with a solid reputation that can be trusted, as well as one that offers tailor-made services and support. See what to expect in our All Jackpots online casino review below! Whether you play at the mobile casino, or via the PC download or instant play online casino, you’ll have entrée to the largest collective game menu – and that is because Microgaming is the power behind the brand! Online, the one-stop games tab features over 500 unique titles whereas gambling on your mobile offers more than 75 mobile games across all genres. You also only need one account to access all three gambling platforms so whether you’re at home in front of your laptop, on the move or using a shared computer – All Jackpot Casino will always be just a log-in away. You can play over 300 pokies at All Jackpots online casino and games of all reel and payline structures are available. There are classic 3 reel pokies and 5 reel pokies with more paylines, multiple features and endless ways to win. Some of the most popular pokies like Thunderstruck 2 and Avalon will always enjoy a top spot at All Jackpots online casino but there are many new additions that will have you on the edge of your seat! Games like Terminator 2 online pokie, Pistoleras, Hound Hotel, Big Check pokies and the blockbuster Game of Thrones and Bridesmaids online pokies will have you checking in for more, for sure! Strategic gambling is offered via the table games menu where you’ll find Multi-Hand 3-Card Poker, Cyberstud Poker, Red Dog, Texas Hold’em Bonus Poker, Casino War, Sic Bo and Baccarat. There are over 40 variations of blackjack, with everything from Atlantic City Blackjack and Vegas Downtown to Perfect Pairs, Pontoon, European Blackjack Gold and Super Fun 21. Other table games like American Roulette, European Roulette, Premier Roulette and Craps are also offered or you can opt for scratch cards, keno and bingo for instant wins that require a little less planning. All Jackpots online casino is home to Microgaming’s Power Poker video pokers, along with Level-Up variations, with all of the much loved games like Jacks or Better, Deuces Wild and Aces and Eights. You can play anything from single-hand games to up to 100 hands simultaneously. Let’s not forget the power of the progressive jackpot network! Win millions with Mega Moolah and Major Millions, or play for prize pots that pack a punch in Roulette Royale, SupaJax, progressive Caribbean Stud poker, Triple 7’s Blackjack and many more. Along with informative online casino reviews, we also have special casino bonus offers for you to enjoy! Just find the best New Zealand online casino for you and we’ll give you a little something extra to get you going. At All Jackpots online casino you’ll have our special welcome offer to cash in on, as well as consummate of existing offers available to registered members. Sign up and you’ll receive their 4-part match deposit bonus that can see you land $800 for free within your first week! There are also ongoing promotions like the Jackpot Factory monthly bonuses that provide an interactive way to participate and win each week. Free spins, loyalty points and free casino credit are always part of the deal! Remain loyal and you’ll further benefit from VIP and loyalty rewards where special privileges such as free gifts and VIP support is offered. Digimedia Ltd is a company situated in Malta that owns several of the best virtual casinos in the industry, including All Jackpots online and mobile casino. They run a tight ship and day-to-day operations are continuously monitored to ensure that the impeccable reputation lives on. The site is further governed and regulated by the Malta Gaming Authority who supplies the venue with their seal of authorisation and operating license. If you like what is on offer in our All Jackpots online casino review, you can also check out other online casino reviews of venues with the same credentials such as All Slots online casino! All Jackpots online casino is certified by eCogra, which means that they offer a fair payout percentage with functional random number generators and a safe platform to gamble on. The security systems include digital encryption technology software and other high-end protocols that ensure safekeeping of identity and financial information. All Jackpots casino also uses CashCheck so you can monitor your real money transactions and spend, along with all other account activity in general. You can choose from credit and debit cards from VISA and MasterCard or you can opt for a range of e-wallets, pre-paid cards and direct bank transfer options. iDebit, Paysafecard, Neteller, Skrill, ClickandBuy, Citadel Direct and InstaDebit are popular options and whatever you choose, you get to bank in NZD for added convenience. Kiwis can clock in day or night to get specialised support services from a team of trained support agents, for free! If you can’t sleep at 4am and you choose to play at All Jackpots online casino instead, you will not be alone… Get in touch 24/7, instantly and for free via live chat, email or the dedicated toll-free New Zealand telephone number. We hope you enjoyed our All Jackpots online casino review! Find out more about other mobile and online casinos by reading through our comprehensive online casino reviews and use your free no deposit bonus to explore top New Zealand online casinos now!